As a Berkshire Hathaway HomeServices affiliate, GolfShire Homes provides the finest personal service to buyers and sellers of the golf course lifestyle. We are trusted advisors and experienced negotiators with expert local knowledge. With our innovative marketing techniques and proprietary market analysis tools, sellers get the most money for their home as quickly as possible and buyers move forward with their life securing the home of their dreams. In short, we make it easy to live life to a tee. Berkshire Hathaway HomeServices utilizes an elite network of powerful relationships, along with modern, effective tools to bring together buyers and sellers of luxury property. Our experienced, service-oriented professionals combine local expertise with vast global connections, the most advanced technology available and unparalleled marketing resources to deliver our clients best-in-class results. If the asking price of a property increases beyond fair market value, the pool of potential buyers decreases the number of showing and the percentage of qualified buyers viewing your home. Land Title core values are principles that guide their actions and serve as the cultural cornerstones. When you work with Land Title, you can expect these core values to be present in everything they do. 100% of their work is done locally, so they respond more quickly. They are the largest locally owned title agency in Colorado with 50,000 successful closings each year. They offer big company stability with a small firm's personal service. Land Title is also committed to Colorado, supporting many local charities and events. Since 2002, Colorado AvidGolfer has been the country’s premier regional golf lifestyle magazine and the ultimate statewide resource for the game. The magazine celebrates golf as a matter of both performance and pleasure, as the prism through which to view a world of courses, gear and instruction, as well as travel, great cars, wonderful wines, fabulous food and stylish clothing. 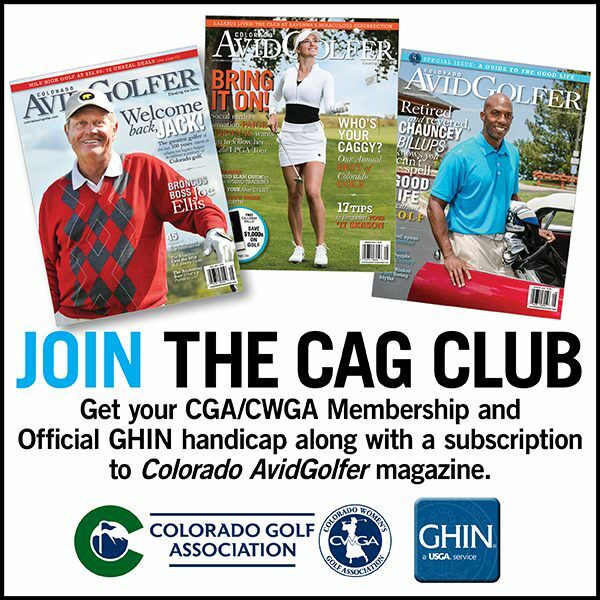 Colorado AvidGolfer is also the Official Media Partner of the Colorado Section of the PGA, Colorado Golf Association, Colorado Women’s Golf Association, Colorado Junior Golf Association, Colorado Open Golf Foundation and the Rocky Mountain Golf Course Superintendents Association. We envision a world where golfers from any demographic or skill level can come together, have fun and socialize through the shared experience of golf. 18Birdies allows you to connect with your friends and family, your favorite courses, and your local golf community. "The 18Birdies team uses technology not only to improve game performance, but to inspire the mental approach to the game and ultimately help people enjoy their golf more. I applaud that."